Learn how to spot the early signs of MS (multiple sclerosis) and what the right treatment options are for your symptoms. It is estimated that more than 2.3 million people worldwide are affected by Multiple Sclerosis (MS). Whether you have been diagnosed with MS or care for someone who has, having your questions answered is a very important step in learning more about this neurological condition. Multiple Sclerosis affects many areas of your life, from the physical to the emotional, from family to the workplace. 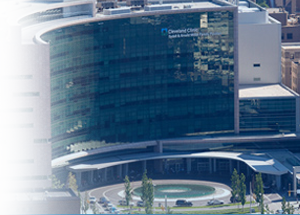 Cleveland Clinic’s Mellen Center for Multiple Sclerosis offers a comprehensive care approach that addresses challenges in every area of life, from diagnosis and treatment to rehabilitation and coping strategies.